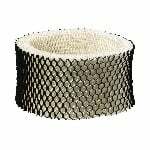 The Holmes HWF65 replacement humidifier filter- HM1865 is anti-bacterial treated and effectively traps minerals within its honeycomb construction while supplying a steady flow of moisture to keep your air easier to breathe. 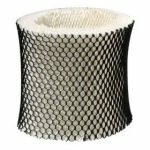 The RPS H75-C compatible wick humidifier filter is a money saving alternative to the Holmes HWF75. 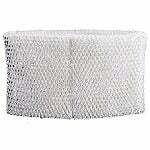 A wick filter is a key component of your cool mist humidifier. 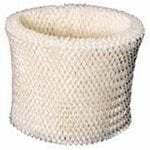 Holmes HWF62 Humidifier Filter features Microban technology and is designed for use with Humidifier Models: HLS1300, HLS1400, HM1230, HM1280, HM1285, HM1295, HM1295, HM1296, HM1700, HM1760, HM2408, HM1275, HM1450, and HM1740. 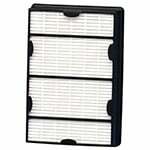 The Holmes HAPF600 HEPA Filter fits new Harmony Series Modular Air Purifiers HAP615, HAP625, HAP650, HAP675, HAP725, HAP750, HAP1625, HAP1650, HAP1750, HAP1725 and replaces GE Brand 10633, 106643, and 106653. 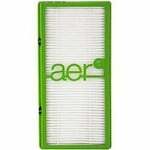 The Holmes HAPF30AT-U4 replacement HEPA air filter includes germ-fighting silver technology and HEPA filtration that eliminates dust, pollen, and other airborne contaminants for better air quality. 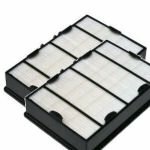 Holmes HWF65 Humidifier Filter features Microban technology and is designed for use with Humidifier Models: HM1800, HM1840, HM1845, HM1850, HM1851, HM1855, HM1865, HM1888, HM1889, HM1895, HM2059, HM2060, HM2060W, HM3000, HM3800, HM3850, and more..
Holmes HWF75 Humidifier Filter features Microban technology and is designed for use with Humidifier Models: HM3500, HM3600, HM3640, HM3641, HM3650, HM3655, WWH3300, and WWHM3600. 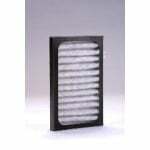 The Holmes HWF64 Humidifier Filter is designed to maintain optimal peformance of your Holmes Humidifier. 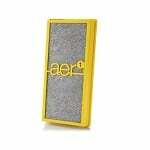 Fits models HM1645, HM1730, HM1745, HM1750, and HM2200. 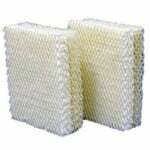 The Holmes HWF-25 Humidifier Wick Filter comes in a convenient, economical 2-Pack value set. 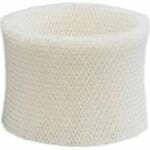 Keep your humidifier in top shape with the Holmes HWF-55 replacement humidifier wick filter that comes in a convenient 2-pack. 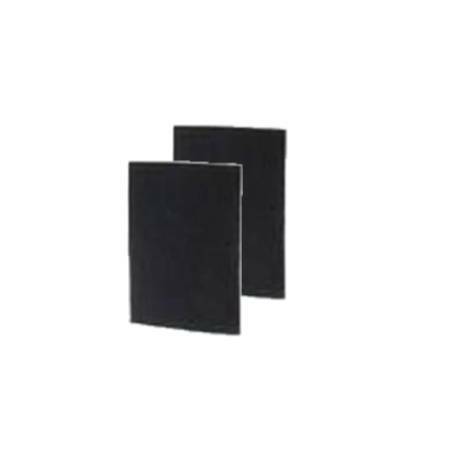 The paper filter material absorbs water and traps minerals from hard water to keep white dust from the air. 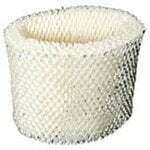 The Holmes HAPF60 Carbon Pre-Filter 4-Pack fits Holmes HAP615, HAP625, HAP650, HAP675, and others. 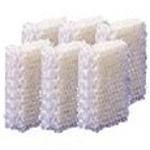 In an average household 1 Pre-filter will last 3 months--order your year supply today! The Kenmore 83156 Air Purifier Carbon PreFilter is a replacement carbon pre-filter that fits the Kenmore 83250 and 85250 air cleaners. 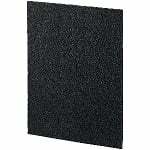 The Kenmore 83156 measures approximately 14.5" x 11" and helps your air cleaner provide higher indoor air quality. 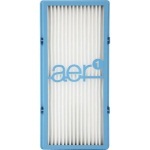 The Kenmore 83157 is the correct preplacement for the Sears Kenmore air cleaners. 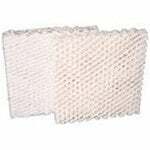 The Holmes HAPF21 Replacement Filter is the main HEPA filter in Holmes models HAP222, HAP221, HAP220, HAP223, and HAP2234. Also known as part number HAPF21CS. 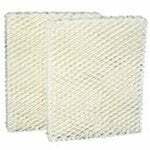 The Holmes HAPF600 HEPA Filter Replacement is a compatible version of the Holmes HAPF600 HEPA Filter for Harmony Series. The Holmes HWF100 R is the compatible replacement for Holmes Humidifiers.